Because solvents (for cleaning up or softening) and thinners (for diluting or extending) are useful not only in painting but in other areas such as modelling or mouldmaking/casting I have given them their own sub-section here. Many common solvents (such as water, acetone or white spirit) can be used equally as thinners, though not all. Some may be needed only occasionally and then only for special purposes so it’s often difficult to remember what each can do. One may only want a quick reminder, so I’ve done my best to keep to the most significant facts. I’ve included suppliers and example prices from early 2015. Although I’ve used many over the course of the years I’m by no means an expert on solvents and thinners .. so please don’t post here asking me questions such as how to remove Siberian coconut oil from a treasured rug! If there’s no clue already here, I won’t have any others. – that there are no naked flames around, no cigarettes, not even a soldering iron on the go .. no possible way that flammable vapour could be ignited! – don’t leave containers open for longer than necessary. It helps if you decant smaller amounts of solvent into handier glass or resistant plastic (i.e. polypropylene) jars. I use sandwich paste jars which have tight-sealing lids but flip-tops would be even better as long as the plastic isn’t affected. – use eye-protection if there’s even the smallest likelihood of splashes and even if you’re the type that doesn’t splash, don’t forget about the effect of vapour build-up on your eyes! It doesn’t take long to realize that there are groups of products that have basically the same main ingredient, but this doesn’t mean that they can all be freely used for the same purposes. There are often slight differences in composition which can produce very different properties! An example is the group that contains naphtha (derived from petroleum) as it’s base, usually more than 80% and some hardly anything else. The differences derive either from the way the naphtha is processed or from the addition of certain other things. This group includes the different forms of ‘white spirit’ as it’s known in the UK, ‘mineral spirits’ or ‘Stoddard solvent’ in the US, lighter fluid, WD-40 and many ‘adhesive cleaners’. All of them will perform in much the same way as solvents for removing oily, greasy or waxy substances or dissolving some types of glue .. but one would never, for example, thin oil paint with WD-40 or fill a lighter with white spirit! On that subject, a question that’s often asked is .. If a paint brand manufacturer (such as Humbrol for enamel paints or Winsor & Newton for artist’s oil paints) recommends the use of their own thinners when working with the paint, does this mean it will produce the best results or can one get them equally using other products? There is no straight answer to this unfortunately! There will be many different opinions if one looks online and the only sure way is to experiment oneself. The one thing you can be certain of is that the manufacturer’s own brand of thinners will be more expensive and it is very likely to be just a combination of materials that could be obtained easily elsewhere .. if one knew the combination! Supplier and price information shown was last updated May 2017. It is basically naphtha which is derived from petroleum (i.e. 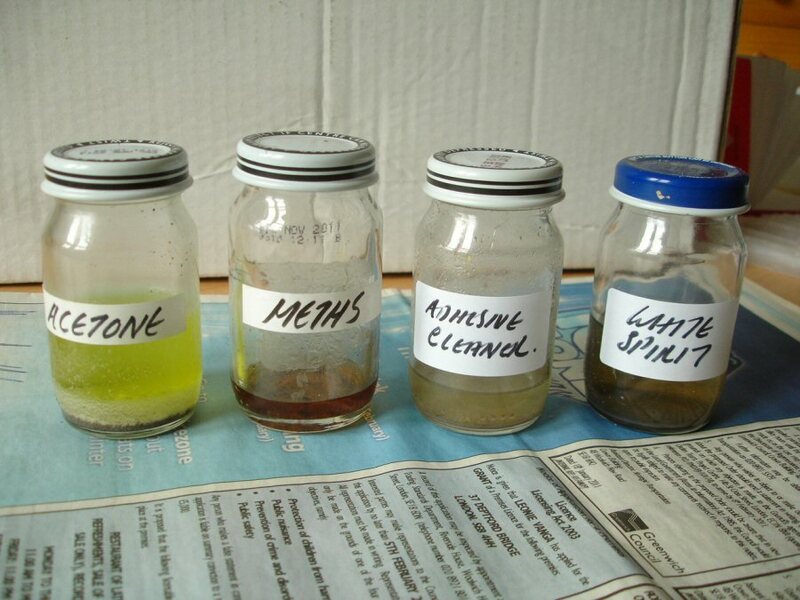 a ‘petroleum distillate’), but there are a few different types of white spirit which differ according to how the naphtha has been processed i.e. 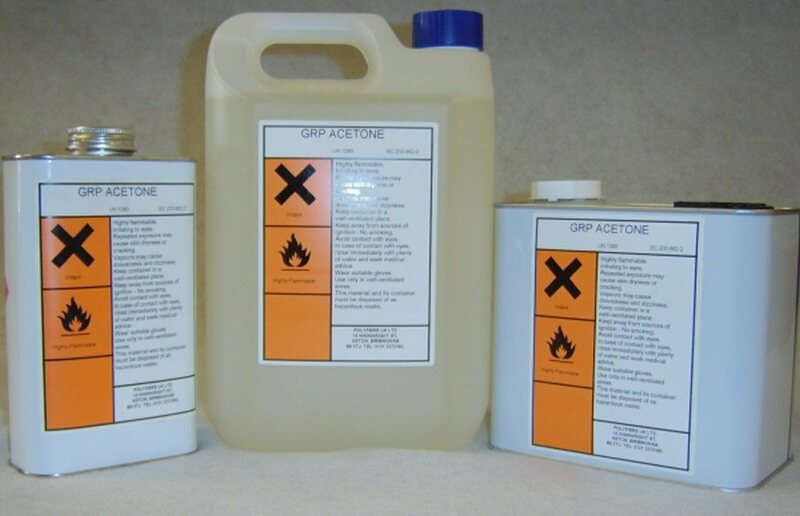 whether it has been ‘desulfurized’ or not (the photo above includes ‘genuine’ turpentine, which is not a form of white spirit but a different substance and dealt with later). If you look on the MSDS sheet for any brand of white spirit you will see the principal ingredient listed as either ‘naphtha (petroleum) hydrodesulfurized heavy’ or ‘naphtha (petroleum) hydroteated heavy’. Bartoline now produces a ‘Premium Low odour White Spirit’ which the MSDS lists as ‘naphtha (petroleum) hydrotreated heavy’, so basically the same thing but apparently odourless because further refinement has removed some of the ‘aromatic compounds’. Just remember that these odourless forms are not ‘safer’ or any less potentially irritant just because one can’t smell them as much, but it does make working with them more pleasant! Although the exact composition of WD-40 is shrouded it’s fairly clear from reading the MSDS sheets what it contains and why it has the ‘2,000+ uses’ claimed for it. It is mainly naphtha (80%) with a mineral oil dissolved in it (15%) and the other 5% is carbon dioxide gas as a propellant. The naphtha will do the cleaning, but when WD-40 is applied to a surface this will quickly evaporate leaving the oil as a thin film to lubricate or protect. Uses as a lubricant; as protection for metal against corrosion and also rust remover (or loosener of rusted parts); displaces moisture (WD stands for ‘water displacement’). Also often used as degreaser and cleaner tackling grease, some adhesives, even chewing-gum. Can damage some plastics. Whereas ‘white spirit’ is mineral or petroleum-based, turpentine on the other hand is vegetable-based, non-hydrocarbon, most often distilled from the resin of pine trees. It’s often referred to as an oil (e.g. Oxford English ‘a volatile pungent oil distilled from gum turpentine or pine wood, used in mixing paints and varnishes and in liniment’). Can be expensive and there is no cheap (i.e. B&Q or £shop) version. Strong smelling, considered harmful (more so than white spirit) and evaporates much more slowly. Because turpentine is plant-based many assume it must be healthier than other solvents but this is not the case! Safety data flammable; harmful to lungs and respiratory system; irritating to skin; vapour irritating to eyes. With turpentine the confusion is understandable because it has been used in the past as a relief for joint or muscle pain, even toothache, by being rubbed on the skin. Also as inhalant to relieve congestion! Does thinning with turpentine give a smoother oil-based paint than thinning with white spirit? Some artists do say that tube oil paint thins more evenly using turpentine and that colours are brighter, but also that turpentine discolours in time. This is marketed as a ‘water-based alternative’ to white spirit or turpentine, with a minimal solvent content (below 8%). Bartoline claims that it will clean both oil and water-based paints from brushes and can be used as a degreaser. It is apparently odourless, non-flammable and classed as non-toxic. I haven’t used this yet myself (it and other odourless versions of white spirit are comparatively new) but will update here as soon as I do. One thing I can say though is that if it is water-based it obviously can’t be used as a thinner .. it’s just for cleaning. Widely used as a solvent and cleaner; present in many paints (particularly spraypaints) and some glues. Colourless, thin liquid, evaporates quickly with cooling effect, sweet mint-like smell. Miscible with water or alcohol. Nail polish remover used to be mainly acetone, but now this is either acetone free or has a certain amount combined with less aggressive ingredients. Uses will dissolve many paints such as cellulose-based (car paints), varnishes, lacquers, fats, oils, waxes and some glues; used for thinning polyester and epoxy resins, will clean up uncured polyester, polyurethane and epoxy; pure acetone will dissolve superglue but only before it hardens completely; will attack and dissolve forms of styrene plastic inc. styrofoam, polystyrene; good degreaser of surfaces such as metal prior to painting; can be used as a releasing agent for transfering a toner photocopy (not inkjet print) to another surface. A solvent ingredient in many paints (particularly spraypaints) and glues. Thin, colourless liquid with a strong, sweet smell. Not miscible with water. A specialist material, expensive and not usually available from ‘general’ suppliers. In the US this is known as ‘denatured alcohol’ which better conveys the fact that it is ethanol which has been rendered undrinkable by adding methanol (c. 10%), hence the UK name. The usual mauve/purple colour is just a dye added to identify it. 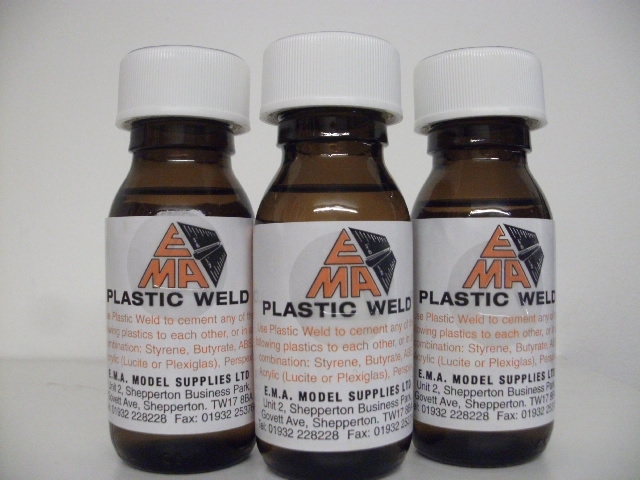 A commonly used plastic solvent used to melt/bond certain plastics together (styrene, butyrate, ABS, acrylic, perspex). Architectural model-makers use this a great deal when building in white styrene because there are virtually no traces of gluing left outside the join. DCM is also recognised as a very effective general solvent and is a common component in paint-stripper. It is also one of the most dangerous! Architectural model-makers commonly use a special solvent dispenser rather than taking from an open bottle, which is meant to reduce build-up in the air. Safety data harmful to skin (can cause burning sensation, prolonged contact can dissolve fatty tissues), harmful by inhalation (particular hazard because when inhaled the body metabolizes it, producing carbon monoxide .. but apart from that can cause drowsiness, headache etc. Because DCM evaporates very quickly concentrations of vapour can easily occur especially in confined spaces. Classified as a Category 3 carcinogen in the European Community i.e. it has been linked to cancer. Also known as ‘isopropanol’. Colourless liquid, evaporates quickly. Miscible in water and alcohol. One of the least toxic of solvents or cleaners, but good ventilation is as always still necessary. Sometimes referred to as ‘rubbing alcohol’ but see ‘Surgical spirit’ below. Obtainable from stage makeup suppliers (sold as solvent for glues used to attach false hair or prosthetics), electronics stores. Also sold as whiteboard cleaner. CharlesHFox £18.00 per 1litre; Maplin (electronics) Servisol IPA 170 in 400ml spraycans £9.99, or 1litre as liquid £14.99. 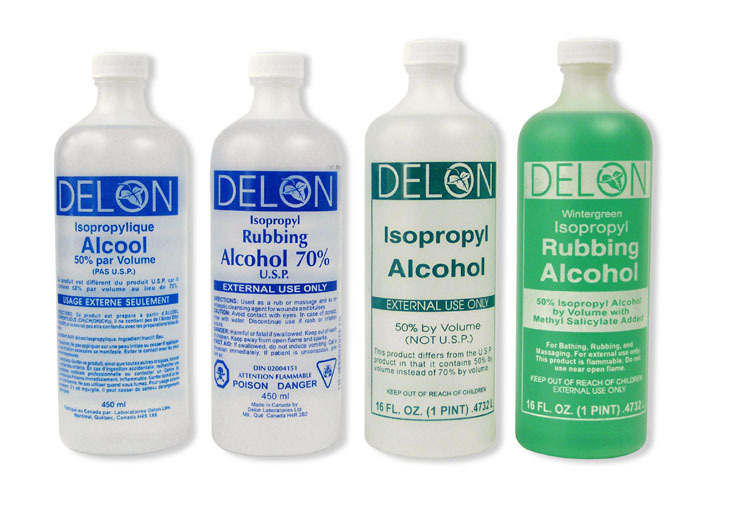 Also known as ‘rubbing alcohol’ with ethanol (or ‘ethyl alcohol’) as its main constituent along with methanol (or ‘methyl alcohol’). Can also contain isopropyl alcohol ( versions containing mainly isopropyl alcohol usually called ‘Isopropyl rubbing alcohol’ ). 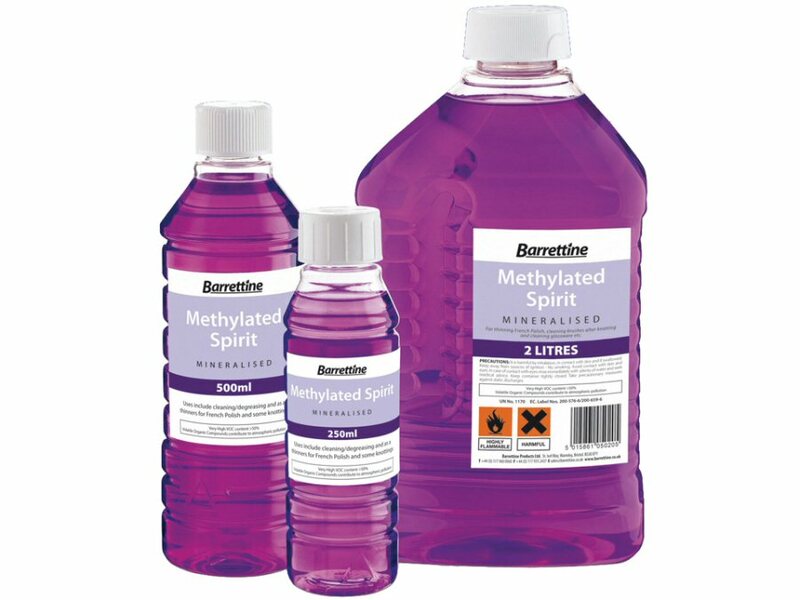 Like methylated spirits it is often coloured and made ‘bitter’ to prevent drinking. It’s most used as a disinfectant and as a toughener for the skin. Some brands contain castor oil to counteract dryness. Is the polyurethane used for woodworking different from the polyurethane used in ski cap wigs? If so, can you tell me the difference? Thanks I understand it’s an odd question you may not know. There are a great many different forms of polyurethane .. you’re right, I don’t know. lacquer is clear and water based…i tried IPA, water based silicon,sprit,increasing the amount of hardener and heating of surface as well but none of them could prove benificial…2ndly i m working on football material i.e fabric+foam+tpu film at the top…. Thanks for the extra info. I’m afraid Nimraa, that I’m unable to suggest anything else .. too little experience of these special coatings. Have you tried priming the tpu surface first, before using the lacquer? .. this would be usual. I recommend Simonix Acrylic primer. Or is the lacquer a clear one? .. in which case I don’t know what you could use in between it and the tpu surface. What would you use to remove white paint splatter water based masonry paint from a brown GRP front door. I’m assuming a good scrub with warm water and Cif .. that should do it. Your web is superb, always get back to your web…. No. as far as I know there’s no way of making it tougher than 80D and adding filler is if anything likely to do the opposite i.e. make it more brittle. The only way I can think of to strengthen hollow casting is to do that in stages .. layers .. putting reinforcement such as fibreglass tissue at least once in between? I have PU liquid skin meant to be used in toupees and wigs, but I do not know how to thin it, it is too thick like honey and even thicker, this way it is useless. I tried it all but nothing managed to make it thinner while it is still in liquid form, there must be something present while it is in liquid form and then hardens by evaporation or something. nobody ever managed to find a solution for me, alcohol, xylene, naphtha, acetone etc, nothing worked. I’m afraid this is also too specialised for me. If you’ve tried all those, I don’t know what else to suggest. Hi, I accidentally spilled lighter fluid on the carpet in my car. Now there is a dark stain and strong smell. How do i completely get rid of the stain and smell preferably without having to remove the carpet? I usually just soap with warm water plus washing-up liquid then sponge off soap with water. That seems to neutralize fairly well though some of the smell will linger for a while. The only solvent I know for silicone is white spirit a.k.a mineral spirits. But explain a bit more, why do you want to make a silicone adhesive? Unless the linseed oil has hardened, proper turpentine should work better than mineral spirits and this shouldn’t affect the plexiglass. If hardened .. i.e. rock-hard .. I’m afraid I don’t know what could remove it. Hi David, can you please suggest something for stripping powder coated parts…Powder coating material may be polyster or epoxy or PU base. No, I don’t have sufficient knowledge of this heavy-duty stuff. All I can suggest, given what you are saying, is acetone .. but it may not be strong enough. Perhaps if anyone else sees this they might have a better answer. Can you help me what good degreaser to use to make easily removed the shellac gasket in my engine? This is not my field, but methylated spirits (denatured alcohol) should work. What can I use to offset copies from my HP photosmart computer 7510? I think you can use Dylon Image Maker medium .. rather than any of the solvents here. Please tell me what I could use equivalent to those commercially available Auto air conditioner “Flushing Fluid”? They are used to clean the a/c system. Sorry, but this is way out of my area! I have a customer to whom we supply a PTFE/Teflon coated glass cloth material with a silicone adhesive coated on one side. This adhesive is used in conjunction with the material because of its high temperature resistance, rated up to 240C, and its non stick release properties. The material is placed and used on a heated cylinder/roller allowing direct contact with a non woven material which travels over it as part of the production process. When the material is removed so it can be replaced with a new piece there is adhesive residue left on the roller. I need advice on a suitable solvent based cleaner which will enable quick and effective cleaning and removal of the silicone adhesive leaving the roller surface in a condition suitable for the application of the new material. As it is an industrial process all the Health and Safety guidelines will be followed. 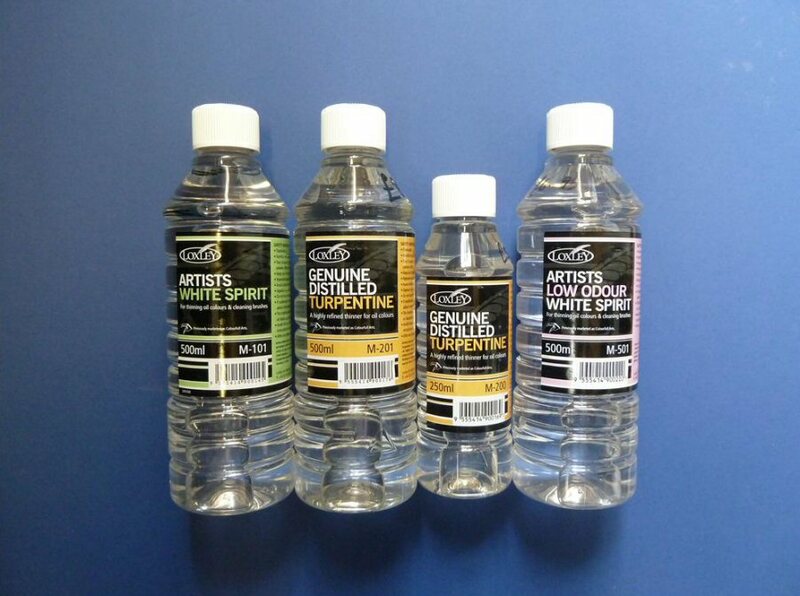 What we call ‘white spirit’ in the UK is an effective solvent and thinner for uncured silicone .. so I can only make a suggestion that you try either this (‘mineral spirits’ in US), or the alternatives which have the same naptha basis i.e. lighter fluid, or Evo-Stik Adhesive Cleaner. What can be done to remove fuel stains, fuel runs from white polyethylene plastic if at all? Sorry, I don’t know this off-hand, and can’t check my notes at the moment. This is really interesting. I wonder if you could answer a question for me please as there’s lots on the internet but none of it looks based in science – what’s best to thin nail varnish/polish – acetone, rubbing alcohol or does it have to be specially formulated stuff? Would paint thinner work? At £6 for a little bottle the proper stuff is expensive. Yes, acetone used to be the thing, and as I’ve shown one can get it for a lot cheaper than ‘£6 for a little bottle’. But nowadays nail varnish has other protective things in it which acetone may not thin or dissolve so readily. Still, I don’t know of an alternative .. but definitely not paint thinner! I have “thermal wallpaper”, which is basically a thick paper laminated on to polystyrene. I want to remove the gloss from the skirting boards and door frames. I am wondering if using a chemical paint stripper will dissolve the wallpaper? Yes, I’m guessing it will because the acetone in the paint stripper will seep into the polystyrene. Thank you, David. Hard graft with the sandpaper it is then. It’s probably safe to use the stripper on the wood up to 1cm from the sensitive edge and sand off the remaining strip? Hi, I’m after some advise. I am a glass spray painter (trainee). I use oil based paints. As a protective layer we use vinyl backing and because they are used as splash back and “glued” to walls. The adhesive in the glue cannot come in contact with the paint thus the vinyl backing. But I’ve noticed bubbling beneath the backing. Should I leave the solvents to release from the paint before backing if so how long? I’m afraid I have no idea .. this is not my field. Maybe someone else reading this might know. I would like to clean dried hi-flex easy flow 60 (liquid polyurethane resin) from wood decking, what would recommend for it ??? As far as I know acetone won’t shift polyurethane resin once it’s cured. The only option is scraping and sanding .. or just power-sanding .. I’m afraid! I had a client that used MEK to soften Polyurethane elastomers but just enough that he could cut it with knife. But be careful MEK (METHYL ETHYL KETONE) is pretty nasty. Very informative page – thanks. I would like to know which solvent would be best to remove overspray from cellulose paint on my Campervan’s vinyl pop top roof walls. When it was being re sprayed, parts of the the pop top vinyl were exposed to the spray paint. Unfortunately this only became apparent weeks after the painting. What would you recommend (if anything) to clean this off without degrading / discolouring the vinyl ? I’m sure that acetone would do it and as far as I understand it shouldn’t affect vinyl, but try it on a small test area first. I’ve 2 good spirit levels,both with 2 bubbles missing. i have an idea what to use as container,but, what liquid can i use in the bubble? hard ware stores no longer stock them. I will be using clear plastic tubing as the replacement container; for the actual bubble. Is my quest impossible? Can’t advise I’m afraid. It’s an oil .. but I don’t know which. i have some misconceptions about the solvent used in auto paint industries that is butyl and kem; i don’t know about both of them to be used where and why and it’s causes and what is kem? I don’t use these solvents either .. just most of the ones I’ve listed. But ‘butyl’ could be Butyl Cellusolve or similar, manufactured by Dow http://www.dow.com/products/market/construction/product-line/cellosolve-solvent/product/butyl-cellosolve-solvent/ .. and ‘kem’ is just a branding name I imagine (because it’s a version of ‘chem’, as in ‘chemical). For example there’s a solvent/degreaser manufacturer in Canada called Kem, and there are other chemical products by other firms with brand named starting with ‘Kem’. I’m afraid that’s all I know. Can you help me with a question on white spirit please? I have a refurbished stove and its ash pan front panel has been painted with silver paint (before we bought it) when the stove heats up the paint comes off when you touch it making a real mess so I have used white spirit to remove as much of it as it can. I followed up with washing with detergent and rinsing and drying. How long do I need to leave the ashpan before I can be sure it will not be flammable once put back into the stove? I’m pretty sure that if you’ve scrubbed with detergent, then rinsed, then left to dry .. which is absolutely right .. you should no longer be able to smell any white spirit in which case it should be safe to use. On the other hand if you can still smell the white spirit it would be a good idea to repeat the process, then using a hair dryer to speed-dry would also help. Very educative explanation of White Spirit.I have received enquires from the Far East for the supply of White Spirit.I was wondering with your vast knowlegde on the material,if you would kindly put in touch with a major manufacturerer or supplier,not retailer.I will be greatful if you can help. Yes Jon, I would recommend you get in touch with Bartoline. I am hoping you can help me with the following dilemma. Someone has super glued a button (hard plastic) to an adjoining metal panel, on a door entry buzzer system at the front of my apartment complex. This has occurred on the bottom part only, and not completely around the button. It has rendered the button inoperable. Can I safely use an acetone-based super glue remover? I am concerned this may cause damage to the plastic button. Or is there a safer alternative method? You should try the acetone. Although it may affect the plastic, not all plastics are, and there isn’t an alternative method anyway. Another thing though .. superglue may appear to stick plastic to metal at first but the bond is very brittle and temporary, so you should be able to detach plastic from metal with a little leverage. Great, detailed post. I’m trying to remove thermal transfer ribbon ink and wondering what the best kind of solvent might be for that. I’ve heard that Vegetable Cleaning Agent might work, but wondered if one of the solvents listed on this page might also be known to do the trick. Most thermal transfer inks are carried in a form of wax, as I understand it, so yes a ‘vegetable solvent’ such as turpentine should do it. However I think there are some with a wax/resin combination in which case acetone may do a better job. From the list .. white spirit, lighter fluid and adhesive cleaner should also work. You haven’t said what material you want to clean the thermal transfer from though? This has a bearing because for example acetone will attack some plastics. T.P stand for Thermos Plastic being used in shoe Top.First it is dipped in thinner to make it soft and place in shoe top, on drying it hardened itself.. Sorry Ramesh, I’m afraid I can’t advise as this is too specialized and I haven’t used this material before. Hi, could you tell me what you mean by ‘T.P’? Thinning with white spirit is the usual thing to do with ‘vitrail’ paints, as I remember, so you shouldn’t have that difficulty. It sounds as if you’re mixing in a quantity of white spirit with the whole remaining bottle though, and that’s probably it .. I think you need to mix just as much as you need each time so that the paint dries before the ingredients have a chance to separate? I used to have a number of glass (vitrail) paints but I lent them to a student and never got them back .. so I can’t confirm this. There are some glass paints that can be thinned with methylated spirits (suggesting that these are shellac-based) and you could try this in case the Lefranc & Bourgeois range happens to be one of these. L&F also produce both a colourless version and their own thinner .. have you tried mixing those in? Hi David. Thank you, your answer is very helpful. Yes, I guess the best solution would be to mix only a certain amount in a separate container. I used to alway mix the whole bottle and it would be ok or so for a week and then becomes gluppy. I never tried L&F thinner as they are expensive but i will try methylated spirits. Once again, thank you for your help. Glad to help. It’s just a guess for the moment though .. let me know how you get on. I want to dissolve SBS resin to coat my painted mini speed boat collection, so that it protects the color and body work. What solvent could I use to be strong enough to dissolve the resin and not destroy the paint work in the process? I don’t quite understand yet what you want to do. Are you saying that you have liquid form of SBS (styrene-butadiene-styrene) which you want to make thinner in order to paint with it? I wasn’t aware that this could be done with a thermoplastic? Probably the only solvent which could be used in this case would be acetone, but whether the paint is affected depends on the paint .. What paint have you used? I’m afraid I can’t answer because I don’t know how the naphtha you refer to is being used i.e. for what purpose? Could you send the YouTube links so that I can have a look? I know that ‘naphtha’ can be used to increase the volume of silicone but as I understand it the silicone shrinks as the naphtha evaporates out .. so I don’t see the point unless it’s just to thin the silicone down temporarily? In the UK ‘naphtha’ is not available as such but ‘white spirit’ is a modified form of naphtha, which is derived from petroleum and so is lighter fluid and adhesive cleaner. It is difficult to find out how these are modified and how they differ. Is Xylene and toulene the same thing? if not can you do a follow up post on xylene. No, I’m pretty sure they’re not the same thing though they have similar properties .. that is, xylene and ‘toluene’. I haven’t worked with these, so I can’t say more. I will try to remember to come back to this when I’ve got more time. It depends. What is the surface and what are you painting with? reply is a bit in coming but try t.s.p. Hi, dear am a nitrocellulose thinner buyer from abroad. can you help me by telling me a company that manufactures cellulose thinner in the UK please if you know. Thank you so much in advance. I don’t use this, so no .. I don’t .. but you’re sure to find as much as I would if you search ‘cellulose thinner UK’ or ‘nitro cellulose UK’ etc. Can I store small quantities of pure gum turps and white spirit in a cupboard under the sink in my house. I am an artist and only have Max of 1 litre of each to put somewhere safe in my house. It may seem the most likely place, especially since most people also put their ‘aggressive’ household cleaning substances there .. but really it could be the worst place! Firstly, if children are around, both white spirit and turpentine must be locked away! Secondly the MSDS sheets for both advise storing in ‘a cool, dry place away from sources of ignition’ .. doesn’t sound like the kitchens I know! .. and away from oxidising agents. There’s no respiratory danger if containers are kept tightly sealed while stored .. and they’ll keep for a long time without degrading, as you might know. In my opinion the best, safest method of storage is in a locked cupboard i.e. understairs cupboard, cool, away from all heat sources. Many thanks David for the advice.